Salt & Pepper Set (Vintage salt & pepper shaker set) collected in Glass by megan bockoven - Collected It! 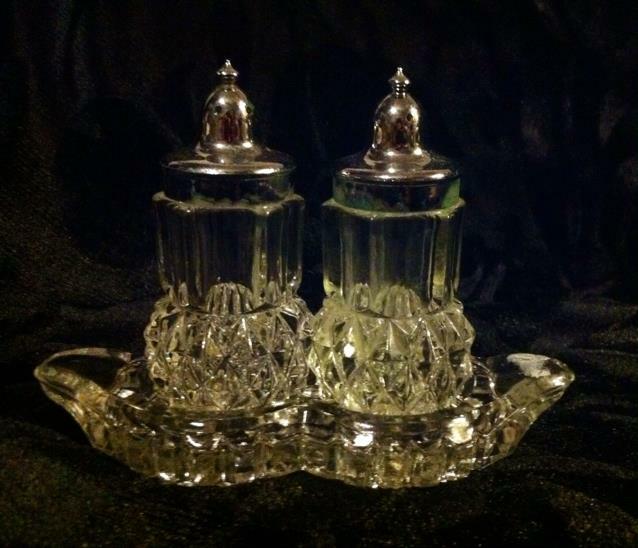 Vintage clear glass/crystal salt & pepper shaker set with matching holder tray. Very good condition.